for women who are ready to explore the expansive cathedral of their own hearts. It’s about devoting time – on a consistent basis – to taking exquisite care of yourself, like you are the guest of honor in your own life. space to belong and connect on a regular basis. conversations to inspire your self-care practice. homework to help guide and prioritize yourself. and resources to support your self-care journey. “This is truly a Self-Care Sanctuary. Women who want to reconnect with the trueness of who they are. Women who want to create and hold loving, yet firm boundaries. Creatives seeking more ease and divine inspiration. 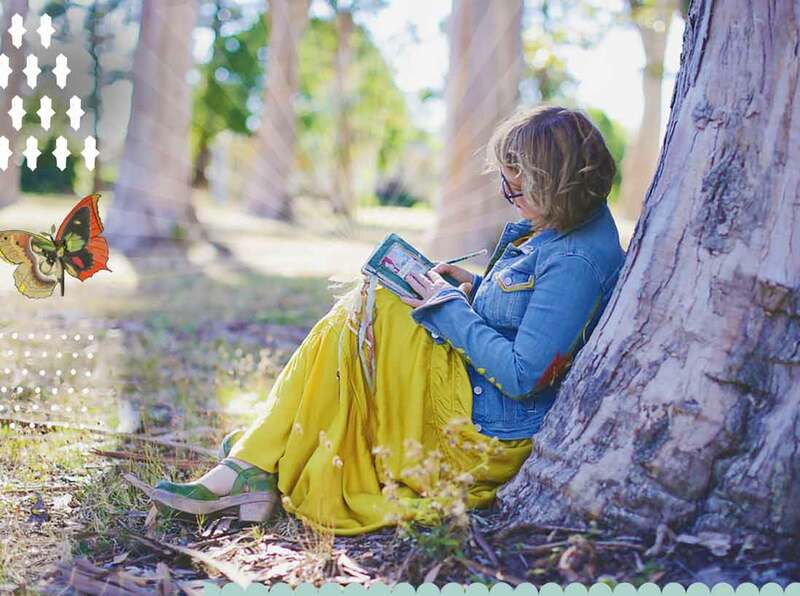 Women who want to unhook from negative beliefs and shape a kinder, truer story. 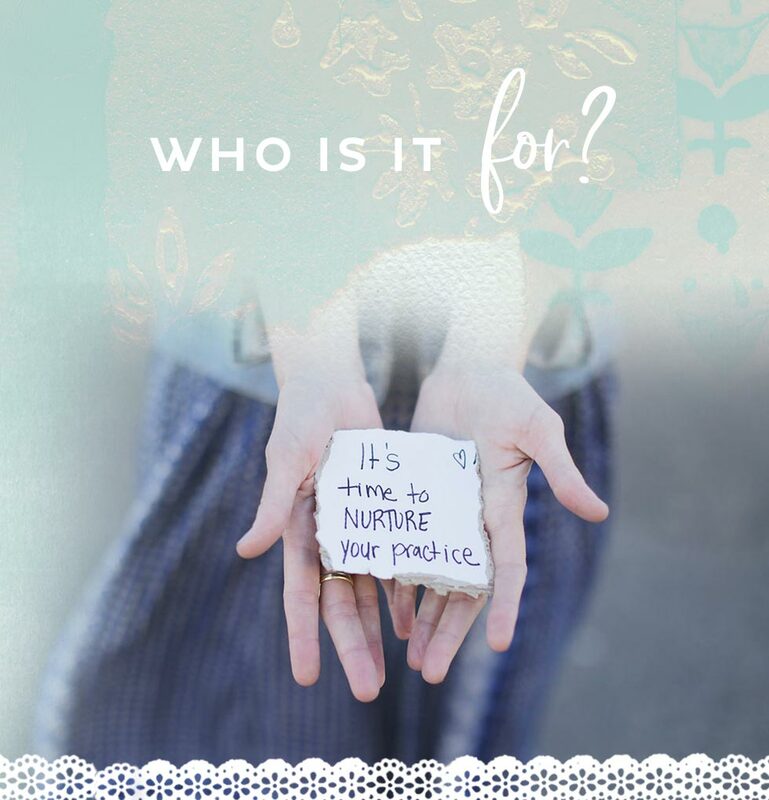 Mothers who want help guiding their families through self-care practices. Healers, counselors, teachers, and nurturers who want to release the pressures and density of their work. Women who want to read and interpret their powerful intuition and body signals. Entrepreneurs who seek to release the cycle of burnout and want more life/work balance. 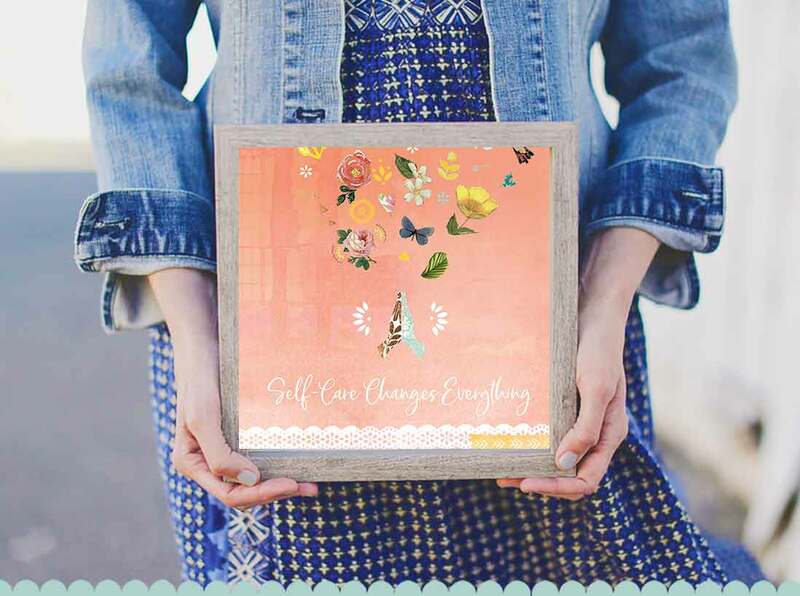 “Self-Care Sanctuary has become a sweet place to drop in every month to strengthen a real, honest, (short on bubble baths, long on meeting yourself right where you are) self-care practice. 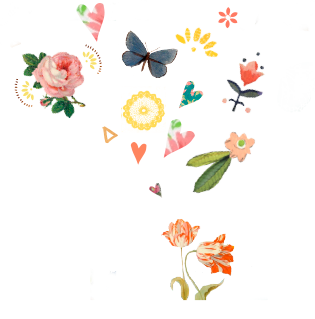 The moment you sign up, you’ll receive immediate access to the online Self-Care Sanctuary, where you’ll find access to all the goodness below. 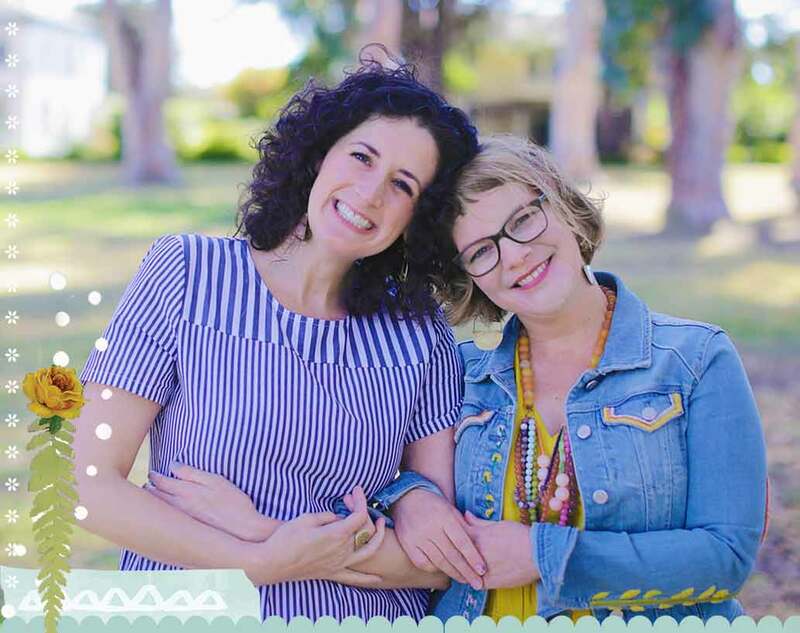 Each month, you’ll get exclusive access to an in-depth, honest conversation where Lacy and I introduce and explore the month’s theme. We’ll bring our truth, our stories, what we’ve learned, what we’re currently practicing, the pivotal moments that changed everything, our collected insights, resources, and more. You bring your journal, open heart, and willingness to refine and grow your practice. By definition, a practice is something that needs to be repeated, with love. 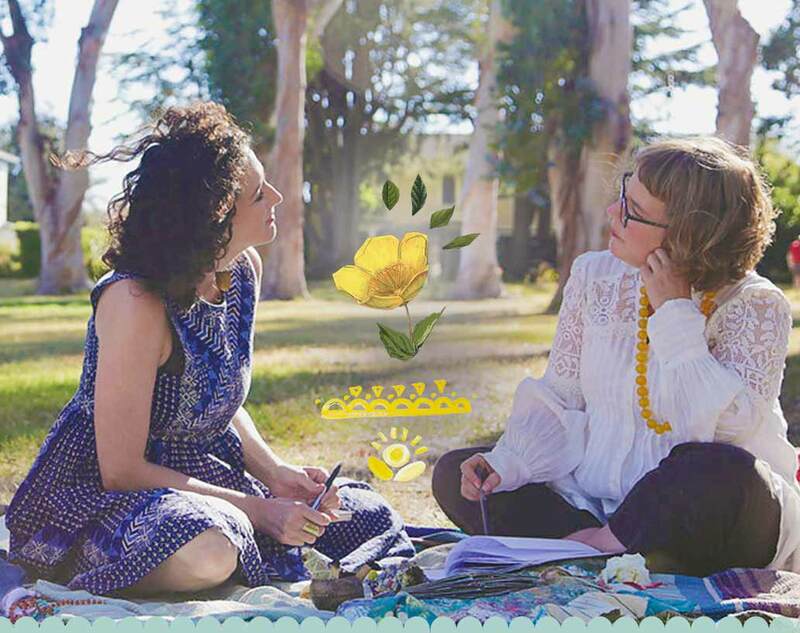 Each month, Soul Work Homework will be offered not as a directive, but as a loving suggestion to help you engage and deepen your practice. If you complete your Soul Work Homework each month, we’re certain your practice will begin to feel more expansive, alight with soul-level nourishment. 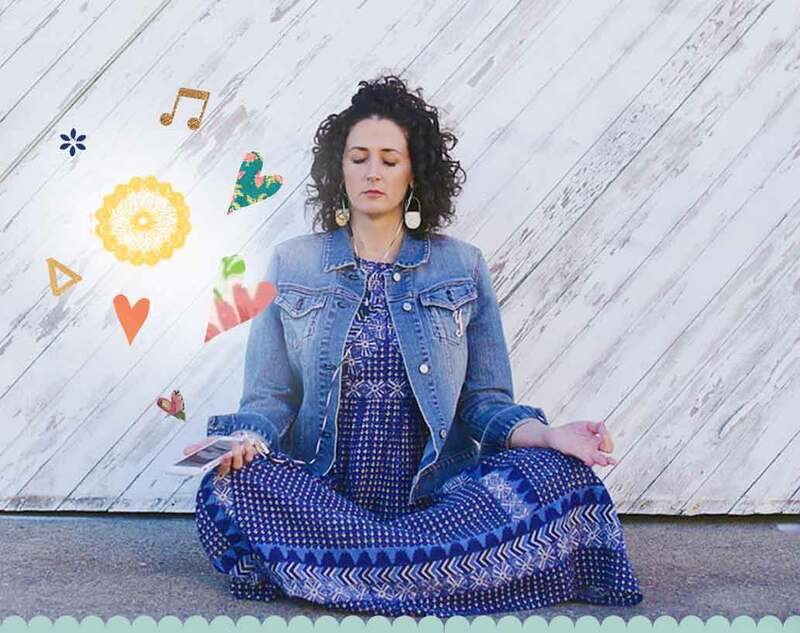 Each month, Lacy will lead you through a recorded, theme-specific, guided meditation that can be used throughout the month to support your self-care practice. 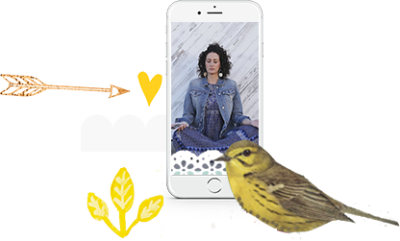 The meditations are short but potent and are intentionally crafted to raise your frequency, allowing you deeper direct access to your soul/true self. 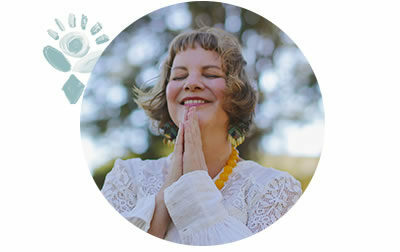 These meditations will help you know and connect with yourself on a deeper level so that you are inspired to take exquisite care of yourself. 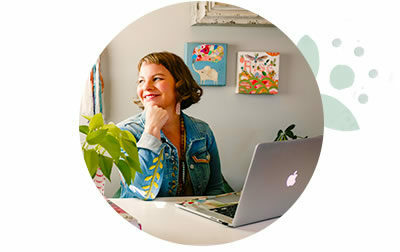 Each month, you’ll receive an exclusive – created just for you and available only to you – downloadable mantra art print, created by Kelly Rae. Much like the monthly meditation, it is meant to be used and seen regularly throughout the month. We believe in the power of words. What you say and think starts to shape your life with effortless ease. 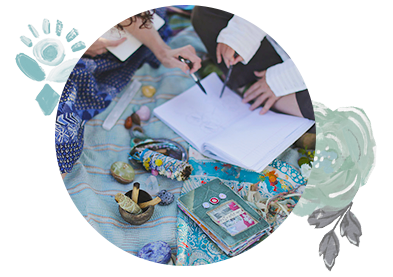 Each month, you’ll receive an exclusive invitation to join our Conscious Community Circle, hosted via Zoom. 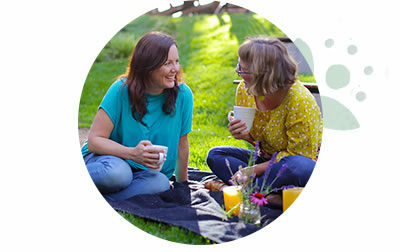 We’ll circle up and gather with the other women of the Sanctuary, listen to one another’s self-care stories, and create a powerful, conscious community. 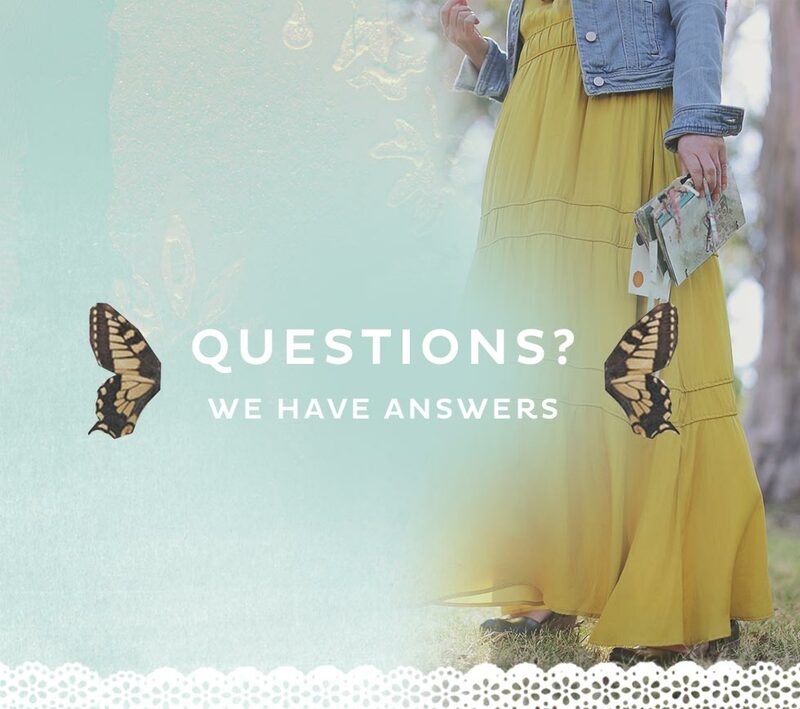 You can ask us questions – anything goes – and we’ll dive deep with our responses. We’ll always record the live event so you can watch it in the online Sanctuary anytime. We’re not meant to do this work alone. For those of you wanting extra support, there will be a community of women bravely sharing their self-care triumphs, struggles, and transformations. And they’ll lovingly witness yours, too. For those of you on Facebook, there will also be an optional private Facebook group to join. “I love listening to Lacy and Kelly Rae talk each month. All are welcome and you can join anytime. Whether you join toward the beginning of the month or the end, the entire month’s content will be waiting for you. How to set loving boundaries, untangle ourselves from other people’s stories, and nurture our own independence. Going deep into family of origin versus family we choose, exploring the healing of ancestral wounds. 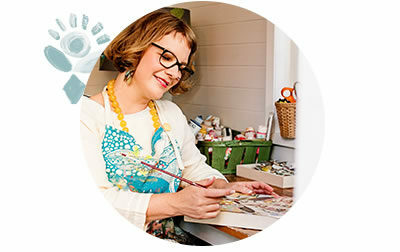 I’m a mixed-media artist, author, entrepreneur, mother, and seeker. I’m also a social worker (MSW) and practiced as a clinical medical social worker for years before I began making art. I think of my art business as a perfect marriage between my social work ideology and my creativity; both have been guiding lights along my self-care journey. 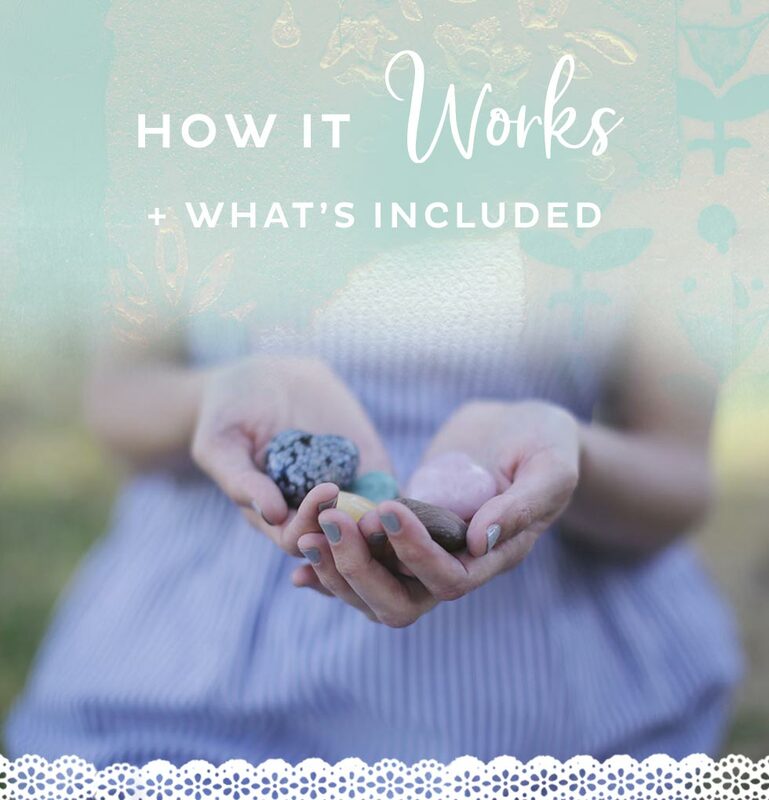 Creating a life of joy, abundance, and ease while keeping my self-care and soul-care practices front and center has been some of the hardest work I’ve ever done. 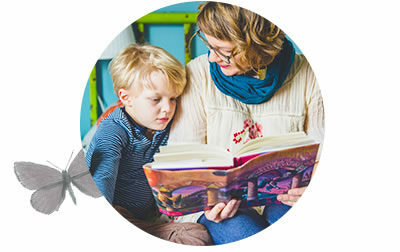 Staying connected to my work and family (hello, partnership and motherhood!) while staying connected to – and caring for – myself has come with challenges, AND it has always led to the kind of breakthroughs that lead to more joy, more freedom, and more connection. I’m grateful and deeply excited for the opportunity to support other women by sharing my self/soul-care stories and lessons I’ve learned along the way. I’m also grateful to co-lead this offering with one of my favorite people on the planet, Lacy. 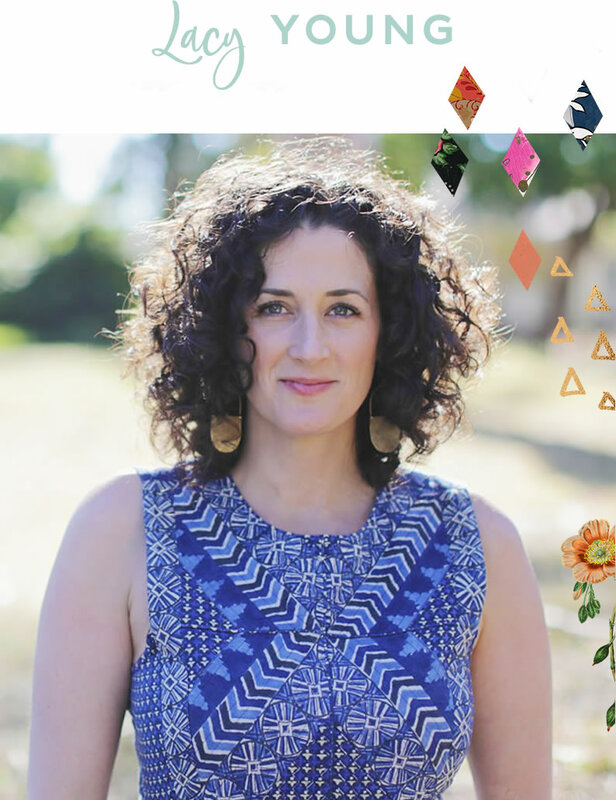 We know just the right constellation of women will join us to form a powerful, beautiful community of way finders. 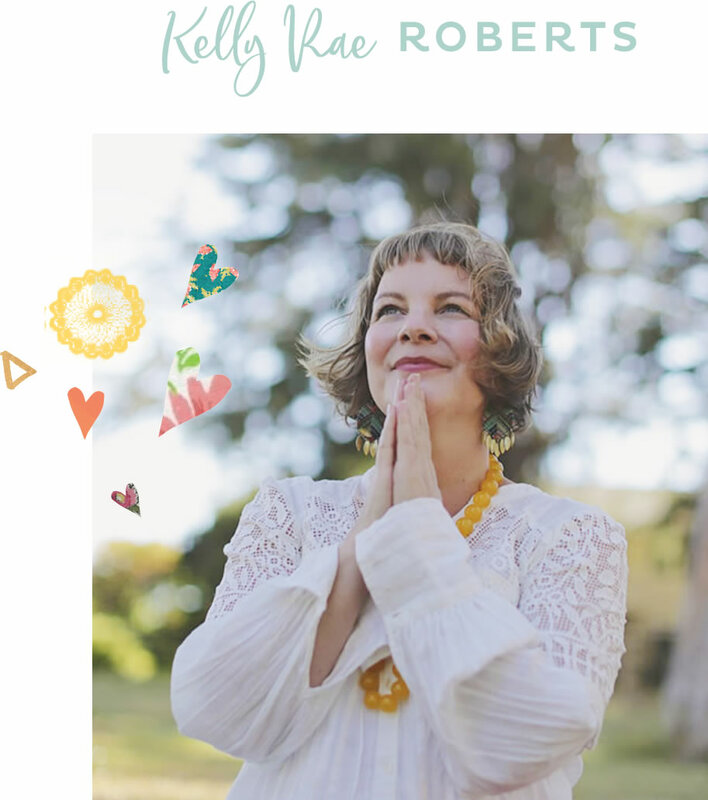 My co-creator and long-time friend, Lacy Young, is a transformation coach, meditation retreat leader, and powerful space holder. Her journey of self-care and healing has taken her all over the globe. From a solo soul-journey to Bali, where she was mentored in ancient meditation practices, to a trek to the Amazon jungle to explore plant medicine with a Shipibo-Conibo shaman, her travels have led her back to one place – her heart. On the day that you join, and then again on the first of every month that you are an active member, you will receive an email with a link and password to access our private, virtual Sanctuary. Once inside the Self-Care Sanctuary, you will find all of the month’s content. You can access and visit the online Sanctuary as much as you’d like throughout the month. You will also have forever access to it should you want to go back and revisit the content in the future. No, you do not need to join the FB group – it’s 100% optional. We find that most Sanctuary members are not super active in Facebook. That said, however, if you do join the FB group, you can rest assured that it is a closed group, so it’s truly private. Only members can see what you post in the group. Confidentiality is important for us too. 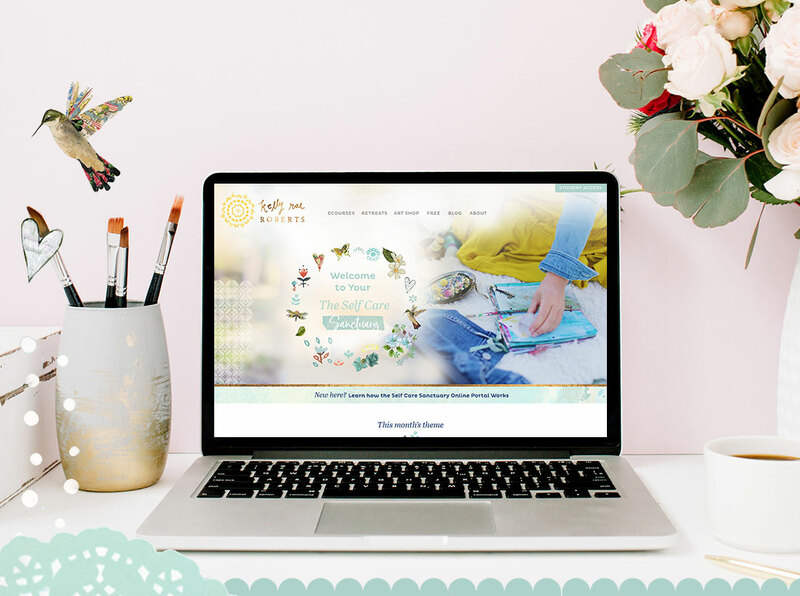 The Self-Care Sanctuary is a monthly membership, which means when you sign up, you’ll be billed for the first month of your membership and receive instant access to that month’s content. After that, you’ll be automatically billed each month, on the same day as your original purchase. For example, if you sign up on the 12th of the month, you’ll be billed on the 12th of the following month. You can cancel your membership at any time. You can cancel your membership at any time. Once you cancel, you will be removed from our private Facebook group (if you joined it). You will also stop receiving any new content. All the content you received while your membership was active will still be yours to keep forever. If you wish to cancel your membership, please log into your account here. 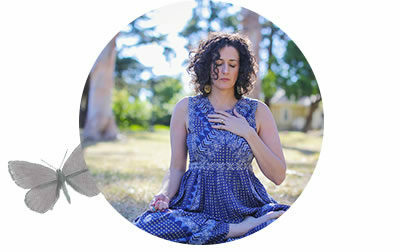 How does the live Conscious Community Circle work? Can I ask my questions Live? 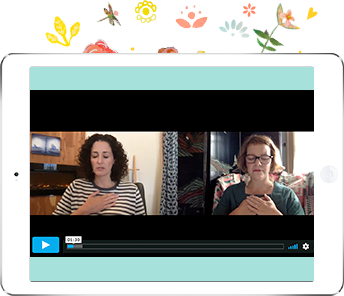 Each month, we’ll host a Live Conscious Community Circle via Zoom, an online web conferencing platform (we love it!). You can ask your questions during the live event and we’ll respond right then. If you can’t make it to the Conscious Community Circle, no worries. We’ll have the recording of it available in our online sanctuary where you can watch it anytime you’d like as you’ll have forever access to it. I love your generous spirit, and the answer is no. 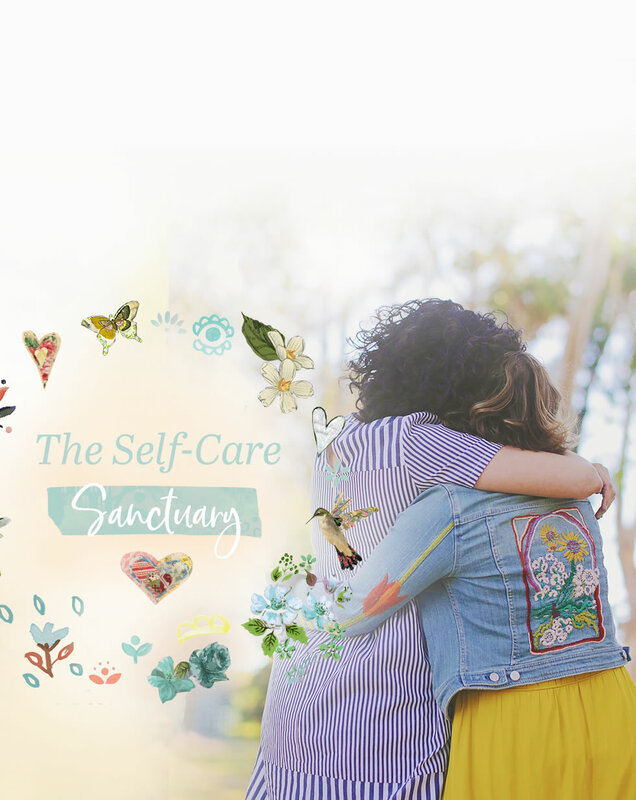 If you have friends + family you think would benefit from The Self-Care Sanctuary please send them the URL to this page and invite them to sign up. Perhaps you could be self-care accountability buddies! Surrounding ourselves with friends + family who are also seeking to deepen their self-care practice is a great way to stay connected to your own path while deepening connections with others. If you’re friends + family choose not to join The Self-Care Sanctuary, we can’t encourage you enough to start conversations with them about all that you are exploring each month in the sanctuary as we’re certain it will inspire in-depth inquiry work for all. Your membership gives you personal and individual access only. Translation = Please don’t copy and share any of our written/recorded content with others, post them to online hosting sites like Soundcloud or Youtube, sell them to others, display them publicly, or use them for commercial or personal gain in any way. I wish I knew about The Self-Care Sanctuary earlier. Can I access previous months' content? Yes! Once you are a member of the Sanctuary, you’ll have exclusive access to all of the archived monthly Sanctuaries. Choose just one month or get them all! Either way, you’ll receive access immediately after you purchase them. No worries. We’re here for you. 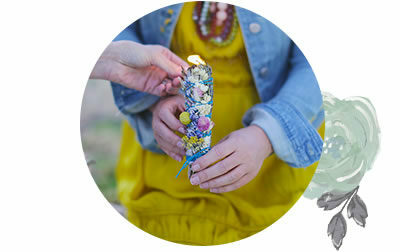 Write to us at hello@kellyraeroberts.com. The Self-Care Sanctuary has been a beautiful refuge where I continue to gain clarity, define and re-define what self-care means to me and open my heart to the endless possibilities life has to offer. 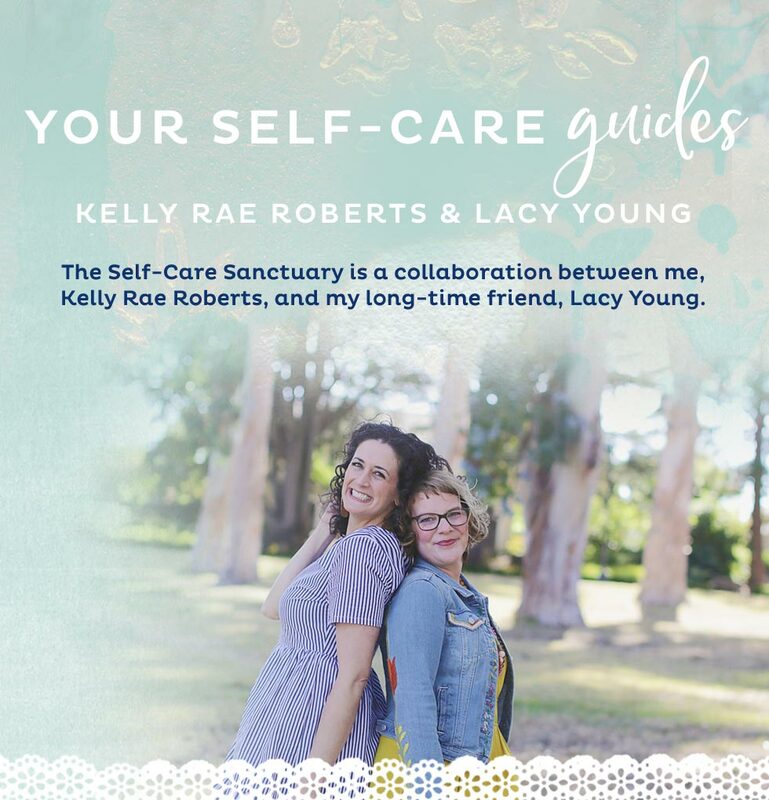 Lacy and Kelly Rae have curated a true sanctuary where I can pop in at any time for a breath of fresh air. The tools, rituals and profound meditations have lifted me up during a time of bumpy transition and has opened my eyes to so many parts of my life I’ve been neglecting. 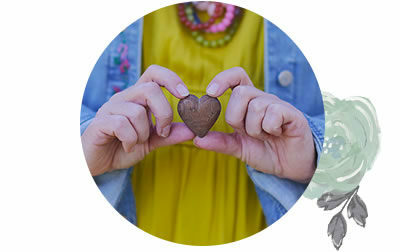 They have created a space of love, care and inspiration that every woman deserves in her life.